Scientists at Tokyo Institute of Technology have extended an existing mathematical model so that it can be used to more accurately predict the products of fission reactions. Nuclear fission is a process by which the nucleus of an atom is split, generally resulting in the formation of two smaller and not necessarily equal atoms (this is called binary fission because there are two fission products). Although fission has been exploited for decades to generate energy in nuclear plants globally, our understanding and models of fission reactions still have many gaps. Scientists have observed that there are four distinct fission modes that broadly indicate what type of nuclear species will be generated by a fission event. 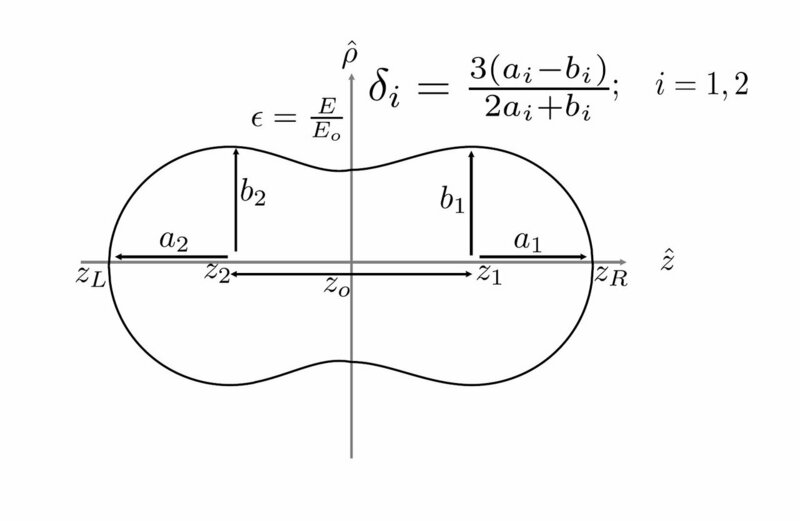 These modes are related to the shape of the two nuclei right before the nucleus splits completely (scission). Two of them are called standard modes and are asymmetric; they produce a lighter nucleus and a heavier one. The other two are called super-long and super-short fission modes, and both produce two almost identical nuclei. One model that has been used for predicting the fission products (and their kinetic energy) for various heavy elements involves the 3-D Langevin equations. 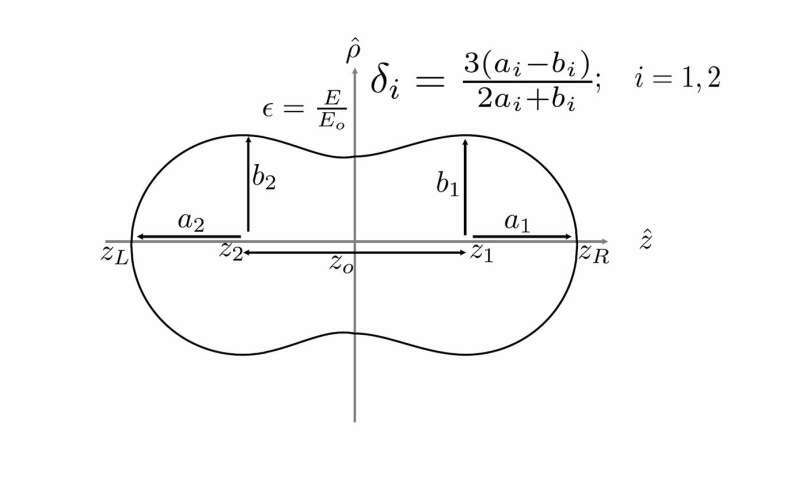 These 3-D equations are based on three variables that are defined for an atomic nucleus that is about to undergo binary fission: the distance between the centers of the left and right fragments, the deformation of their tips, and their difference in mass or volume, called mass asymmetry. Although this model has been successfully used for many heavy nuclei, its predictions failed to match the experimental data for some fermium (256Fm and 258Fm) and mendelevium (260Md) isotopes. In an attempt to enhance this model and use it to understand what's going on for those isotopes, a team of scientists at Tokyo Institute of Technology (Tokyo Tech), including Prof. Satoshi Chiba, used 4-D Langevin equations. The equations for this new model, which is shown in Fig. "Model for a nucleus about to undergo fission", swapped the variable that indicated the deformation of the fragment's tips for two independent variables that allowed for these deformations to be different instead of always being symmetric. This additional degree of freedom allowed the new model to account for what was previously a mystery when going by the previous model. Experimental data (shown in Fig. Experimental and calculated data for the fission products of 256Fm and 258Fm) for 256Fm showed that standard fission modes were dominant for this isotope, whereas data for 258Fm and 260Md showed that super-short fission modes were much more likely. The team inferred that the shapes of the two fragments right at scission had a very relevant effect on the fission products and their kinetic energy, and that forcing the deformation of the fragment tips to be equal resulted in inaccurate predictions. "3-D Langevin equations are unable to solve the observed transition between standard and super-short fission modes for these isotopes. Now, with our 4-D Langevin model, this is solved," explains Chiba. The team plans on further improving this model to enhance its predictive power for the fission reactions of many nuclei. 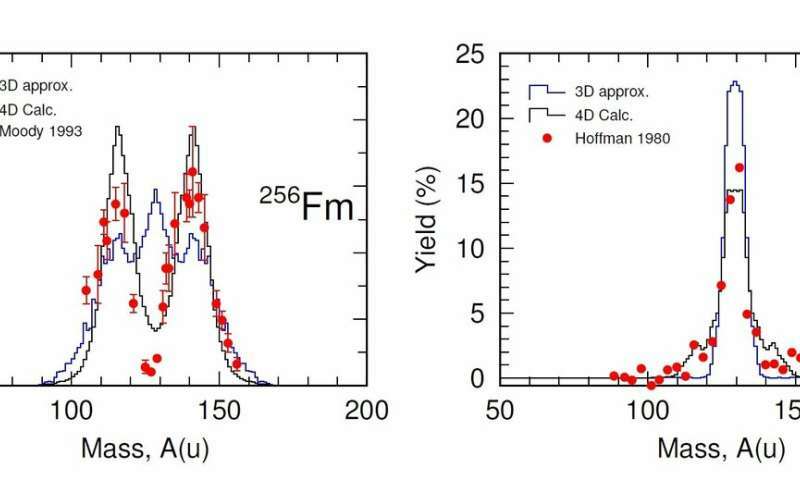 Using models like this one, researchers can more easily study and interpret fission-related phenomena, such as the aforementioned transitions for the fermium isotopes. "Our model has allowed us to explain how these transitions happen in a consistent manner," concludes Chiba. Needless to say, a better understanding and better modeling of nuclear fission are crucial if we are to keep improving existing nuclear technology to secure reliable energy sources.